Karex Bhd is a Malaysia-based company that is principally engaged in manufacturing and selling condoms, sterile catheters, latex probe covers, lubricating jelly, latex sleeve, rubber finger gloves, hand gloves, and other rubber products. The company operates business through a number of subsidiaries based in Malaysia, Thailand, Hong Kong, the United States, and Europe. The company generates the majority of its revenue from the condoms business. The company has a presence in Asia, Africa, the Americas, and Europe, with overseas markets accounting for most of its total revenue. minher I think when goreng play is over. 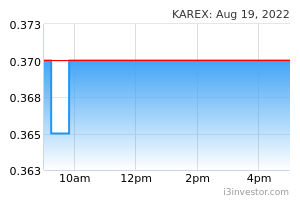 Karex will drop to its fair price around 35-40sen. Please be caution. 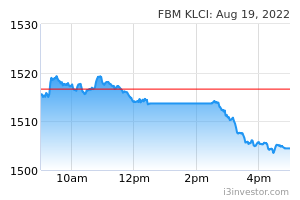 Karex reported a lackluster performance: 1HFY19 PATAMI of RM3.4m (-54.3% yoy) fell short of both our and consensus expectations, delivering only 25% and 27% of our respective full-year forecasts. The weakness was due to intensifying competition within the tender market, where margins continued to be under pressure despite the increase in sales volume. As such we are reducing our TP to RM0.35 on the back of 15-24% EPS cuts for 2019-21E, while keeping our SELL call unchanged. Despite delivering record revenue for the quarter, PATAMI for 2QFY19 is lower by 29% qoq and 56% yoy, due to a decline in gross profit margin. The improvement in revenue during the quarter was boosted by the fulfillment of a tender order which was delayed from 1QFY19. However, we believe there is still downside risk to margins as management reckons that the overcapacity issue would only improve if the industry consolidates. The GP margin for the tender market has fallen from c.20% to less than 15% currently. Management has also taken a more conservative approach in controlling its A&P spending in regards to its OBM segment, and has guided that the expenses would likely hover around RM22m/quarter or around 20-30% of segment revenue. Karex will not slow down its expansion into new markets but engage in different marketing approaches to increase its exposure. We believe that management would likely stick to the self-imposed cap, due to its declining net cash position as profit margins continue to deteriorate. Karex is in a net cash position of RM4.6m (2QFY18: RM20.4m). While the long-term outlook of Karex venturing into OBM remains attractive, we believe that the short-term outlook for Karex remains challenging due to weak demand from the tender market and also the elevated cost from the OBM segment. We are cutting our FY19-21E earnings by 15-24% to factor in the current-quarter performance and lower our DCF-based TP to RM0.40 from RM0.35, while maintaining our SELL call unchanged. Snapbuy I bought at 60sen yesterday. Should i cut loss now or hold ? Any advice here ? SWT1988 Let c karex be able to support at 0.55 before lunch or not. smarty86 The support level shows at 0.55, if it's broken, its likely will go down further. Lee Yong Hour Any good news from topglove? turbochart 0.58!! Not bad haha!! turbochart 0.6!! Paper Gain 9k!! member41 61 again... music starting? turbochart 0.61!! Heng Ong huat!! SWT1988 Closing 6.20. Over bought?? SWT1988 Going down below 0.60 today?? shpg22 Fundamental remained weak. Recent price movement by speculative call. Fair price remained unchanged at 0.385. Lee Yong Hour Do not scare. HoselGoh Go go go. Potential rebound later. turbochart Hope next election faster come. I want Bossku become our PM again!!! TATOWER over sold likely to rebound strongly !